Rachel Kang and her research partner have advanced to the second round of the Long Island Science & Engineering Fair. As mentioned in a previous story, they had submitted their research, entitled “Unsupervised Image Filtering using Generative Adversarial Networks,” to the prestigious Siemens Competition, one of top science research competitions for high school students in the country. 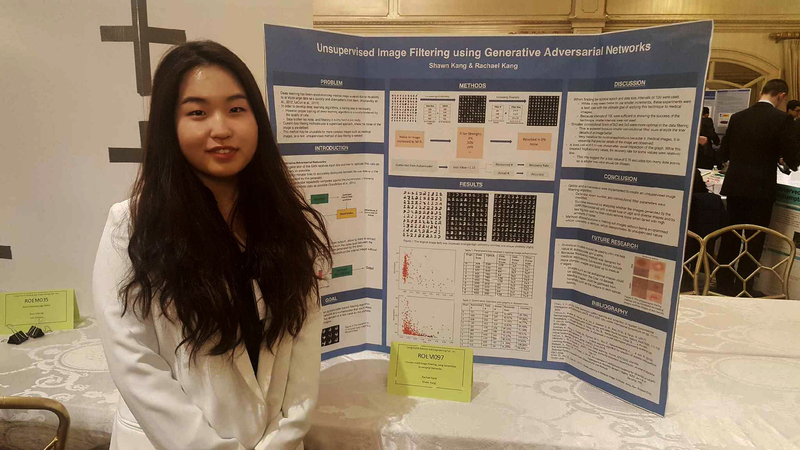 Rachel’s project was to determine if Deep Learning could be used to filter data more efficiently to allow for more accurate diagnostics based on medical images like X-Rays and CT Scans. She and her partner will now present in Round 2, to be held on Thursday, March 15th. Congratulations Rachel and good luck!